Philanthropy’s financial toolkit should include every investment instrument, all asset classes, and all enterprise types. Clara Miller is president of the F. B. Heron Foundation in New York City, a private foundation dedicated to helping low-income people and communities help themselves. 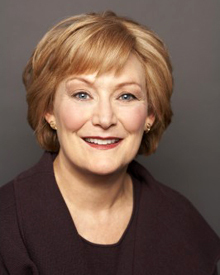 Miller founded and spent 27 years as President and CEO of the Nonprofit Finance Fund, a national CDFI that provides direct financing and financial counsel to social sector organizations. She was appointed by President Clinton to the U.S. Treasury Department’s first Community Development Advisory Board for the then-newly-created Community Development Financial Institutions Fund in 1996. She also chaired the Opportunity Finance Network board for six years and was a member of the Federal Reserve Bank of New York’s Community Advisory Council. Miller serves on the boards of GuideStar, PopTech, and the Robert Sterling Clark Foundation and is a member of the Social Investment Committee of the Kresge Foundation. She is a member of Bank of America’s National Community Advisory Council, the Aspen Philanthropy Group, and the first Nonprofit Advisory Committee of the Financial Accounting Standards Board.